The European Commission has just released a short-term action plan on disinformation. Remarkably, the sustainability of the media sector is hardly addressed, write a group of MEPs and media industry experts. This open letter to the president of the European Commission has been co-signed personally by six MEPs and six independent media experts (listed at the bottom). 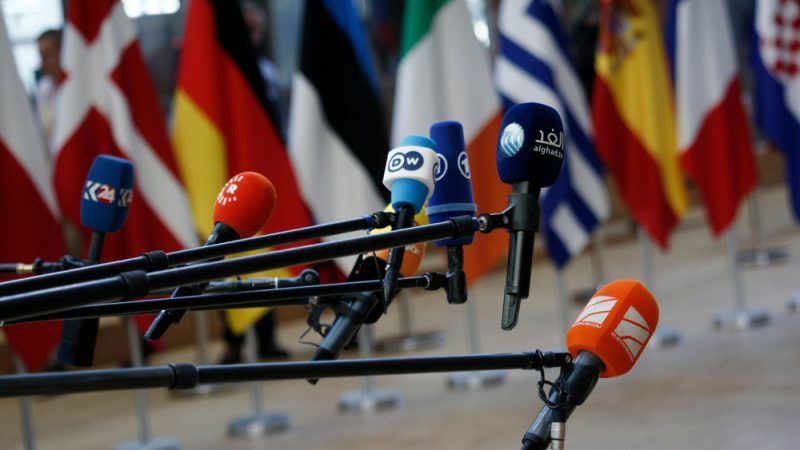 Foreign interference and nationalism are not the only threats to the EU – so is the demise of our free press, the ‘fourth pillar of democracy’. Fighting both disinformation, the dominance of social platforms, and the crisis of the media sector, we see an opportunity to go beyond short-term projects and strengthen democracy. In your last State of the Union speech, you rightly talked of Europe’s sovereignty and of protecting journalism. In an earlier conference, you stated: ‘il faut armer médiatiquement l’Union’ (“Europe should be armed with strong media”). On top of the Digital Single Market, you assigned Commissioner Gabriel the timely mission of countering the fake news curse, starting with a High-Level Expert Group. This process was promising. Answering the more specific monitoring and coordination needs of the EU27 and the joint diplomatic service, your Commission has just published its ‘action plan on disinformation’ , with a view to the May elections. Therein it also stresses earlier ‘media points’ about fact-checking, media literacy, and press freedom, but without really deepening them. The broader April Communication foresaw fact-checking and media literacy efforts as independent of governments. Importantly, as key measures to counter fake news, it calls for diversifying media models and supporting quality journalism. The Commission’s fresh assessment report on its earlier Communication is an expected and useful milestone. It is correct by default in listing many relevant projects to fight fake news, but noting little progress on media sustainability. Equally, the code of practice signed by platforms and advertisers last September is too soft, as was just repeated by the ‘Disinformation Sounding Board’. As mentioned by both the Expert Group and then by the Commission last April, we need to activate co-regulation for greater accountability. This means waving firmly both ‘carrots’ (platforms’ reputation, influencing sales and share price) and ‘sticks’ (less dominance and more legal and fiscal responsibility, with legislative initiatives and competition tools). Many interesting processes are related: fundamental rights, public funding, digital tax ideas, and copyright, a directive hopefully concluded soon. Let us be specific again and underline three policy points from previous EU documents. On this last point, the High-Level Expert Group asked more specifically to ‘tender by Summer 2018 an independent study on Media sustainability to inform its policy and budget priorities for 2019-2024’. Disinformation feeds on the media’s current weakness. The media is going through a massive transformation, which will deepen due to Artificial Intelligence, robotics, cognitive computing, and big data. So, an overall European vision for the sector is needed. Most countries organize funding for their media sector, chiefly via license fees for broadcasters, and in some cases subsidies or tax breaks for the press. At European level, there are other ways to help, with other funding instruments, and also positive policies.Today, what the media need are not chiefly subsidies, but faster innovation, thinking across boundaries. The EU can help innovate, by encouraging publishers and journalists across borders, by supporting investment in technology and skills, and by ensuring a fair regulatory framework. Surprisingly, unlike with other sectors, from agriculture and steel to cars, chemicals and IT, there has never been an agreed economic strategy for the media. This vertical sector strategy – some would call it ‘industrial policy’ – implies coordination between private and public initiatives, between different EU departments – and also willing governments, beyond the short term. To put it simply, we would call it: a ‘European strategy for the media sector 2019-2024’. Many other fragile sectors have already benefited from publicly funded ‘reskilling’. Projects could ‘upskill’ media professionals to cooperate and face the digital ecosystem, this is urgent. Next, to harness the ‘Digital Single Market’, as social platforms already do, the media need to break language barriers. If Europe does not align its ecosystems for translations, language technology, Artificial Intelligence and content, this will be done from California, leading to fewer jobs here. Then, several new revenue models exist, some fitting with projects against fake news. The EU approach to fighting disinformation can be summarised as ‘Avoid censorship, dilute fake news with quality content’. There, for example, investigative journalism could feed fact-checking, and fact-checking in turn support trust indicators used by algorithms. Researched reporting leads to data journalism or ‘constructive journalism’. Funding for innovative projects can be both philanthropic, commercial, or public (respecting media independence). As ‘pre-competitive’ funding not interfering with editorial matters, R&D funding for such projects is appropriate. Indeed, the EU will start a new wave of projects, building on data journalism: it could do a lot more. A level playing field, combined with copyright protection, could lead to a fairer sharing of advertising and subscription revenues. To allow this, legislative initiatives could include for example re-opening the e-commerce directive, and reviewing advertising regulations and data protection for SMEs. But this will be a slow process. In the meantime, competition policy tools are powerful. Relaxing competition controls, the EU could exempt certain financial support and media cooperation projects enhancing competitiveness and consumer benefits. To look beyond individual cases, to guide future policy against market distortions, competition authorities could also trigger a sector enquiry, as they recently did for e-commerce, encompassing the whole ecosystem: media, platforms and advertisers. This is not just about foreign-based giants: in some countries, oligarchs exert pressure on dominant media space dealers, curtailing advertising revenue for the free press. [A healthy revenue mix will help independent media not only to withstand foreign interference via social platforms, but also to maintain domestic press freedom.] Such important steps could be preceded by the envisaged independent economic study, starting now. The current Commission has so far delivered mainly on what online platforms lobbied for: the Digital Single Market package. This was necessary, but not sufficient. Regarding the media/platform/advertising ecosystem, let us start the next mandate ‘hitting the road running’. Mr Juncker, while your Commission is preparing its legacy proposals, Spitzenkandidaten, MEPs and parties are adjusting electoral platforms. We should now all prepare the options for a new policy mix, then converge, and help your successors prioritise a European strategy for the media sector. Christophe Leclercq, founder of EURACTIV Media Network, and of Fondation EURACTIV, Member of the High-Level Expert Group in disinformation. HLEG report: "A multi-dimensional approach to disinformation"